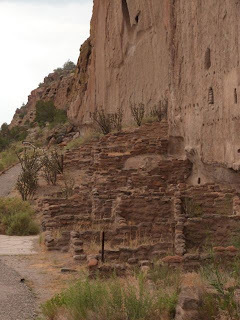 For H-day: a review of House of Rain: Tracking a Vanished Civilization Across the American Southwest, by Craig Childs. Craig Childs is well known in certain circles for his almost poetic meditations on the land, water, and creatures of the southwestern U.S. His books resonate deeply with those of us who also love the land of little rain (that's another obscure literary reference. Go ahead and go look it up). 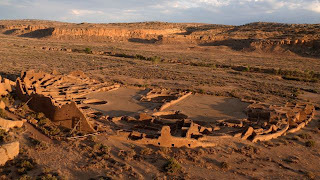 In House of Rain, Childs takes on the great mystery and fascination of the region: the ancient culture(s) that built the silent ruins preserved in Mesa Verde and Chaco Canyon, as well as those that you may stumble on unexpectedly in a cave or overhang in any canyon or wash. Half travelogue, half archaeological discussion, and half fantastical recreation of a world that is--and isn't--vanished, at one point while reading I jotted in my journal that the book is "the work of archaeologists filtered through the mind of a poet." And that pretty well sums up both the strength and the weakness of the book. Childs has a vivid imagination, a boot-soles-and-spirit knowledge of the region, and enough knowledge of archaeology to present the science cogently--and then to draw his own conclusions. Many of his conclusions do not bear the stamp of approval from the archaeological community. They may be no less valid for that. He is a powerful proponent of the idea that a gut feeling might be the final tool needed to put the story together. And he is willing to walk through country that would not only daunt but kill many of us, in order to string together the story. 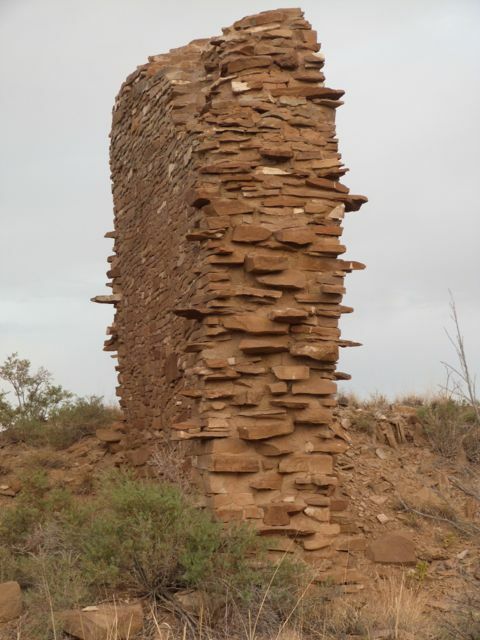 Chapter by chapter, mile by mile of walking in blazing summer heat and blowing winter snow (yes, the region is extreme in both seasons, though the snow is never deep--it is, after all, desert), Childs tracks the movements of the ancient people around the Colorado Plateau, down into Arizona, and finally into northern Mexico. Sometimes he travels alone. Sometimes with others who share his interest, amateurs or experts. Sometimes he travels with his wife and infant son. Always he travels with the ghosts of those who went before. 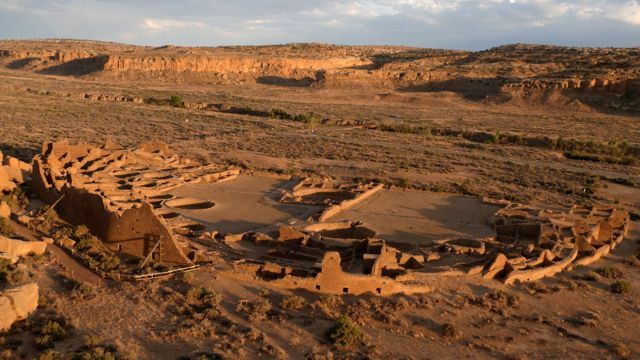 This is by far the most thorough and most brutally honest account of what archaeology tells us--or implies to us--of the people who inhabited the southwest before Europeans arrived. Childs is not afraid to tell of the evidence of violence, nor of the evidence that drought and possibly mismanagement of resources drove people from place to place. In the end, he also reminds us that the cycle of drought and uninhabitability (if that's a word) isn't a thing of the past. Five stars, for great literary non-fiction and an education in 500 pages. As a bonus: a sampling of my own photos from just a few places on the Colorado Plateau. 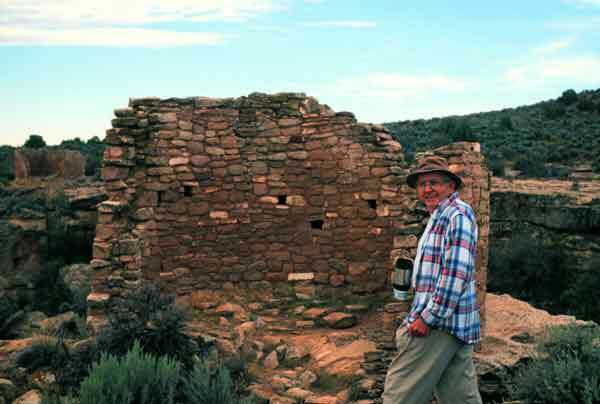 Hovenweep National Monument. I particularly like this picture, as it was the last trip we took with my Dad. 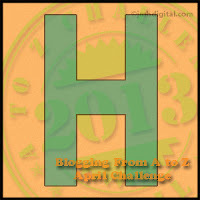 Excellent H post and awesome photo's especially as one was the last trip with your father. very special indeed. Thanks! That picture also always makes me smile because it's such classic Dad. If you look closely, there is a coffee cup clutched in his right hand. There so often was! Now this sounds like my kind of book!! Do you realize that since this A-Z thing started I've added a half dozen or so books to my (already out of control) TBR list?? And not even the "oh that would be nice to read" but the "I'm going to see if I can get that for a good price on Kindle or will I have to look it up at the library?" Love, love the photos, especially the one with your Dad! Yes, my TBR list has been doing likewise, and that's just from the comments on my own blog! I can recommend any Craig Childs; at least, I've read 3 or 4 and liked them all.